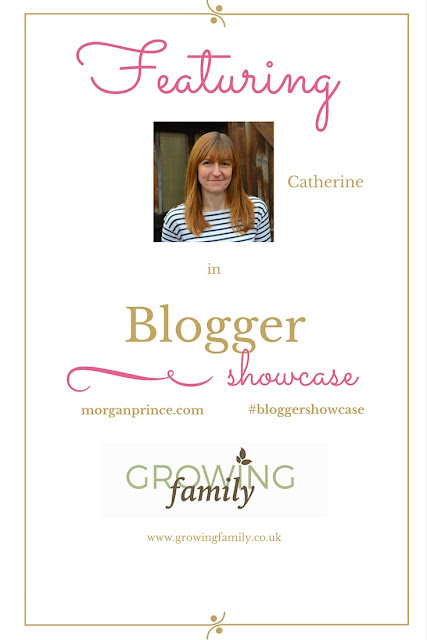 Next up for Blogger Showcase is Catherine who writes over at Growing Family, I'll let her get right to it and introduce herself. 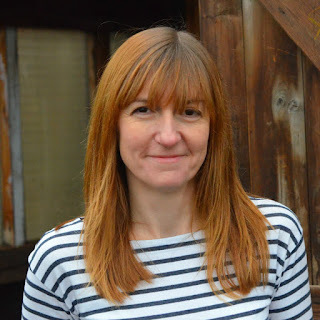 I’m Catherine - mum, wife, Blogger and fan of wellies. 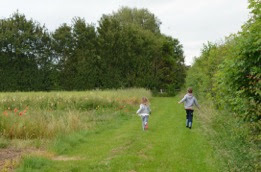 Growing Family is my home and garden blog all about making the most of busy family life, indoors and out. Gardening has always been a passion for me; I grew up grubbing around on my dad’s allotment, and the urge to coax things into life and develop my own patch of land has been there ever since. My husband Chris is a real outdoor type, and while gardening isn’t his thing, he’s in his element climbing mountains, or trekking armed with the bare minimum of supplies. When our children came along we naturally wanted to involve them in our passions, and it quickly became glaringly obvious that hands-on getting mucky in nature is just perfect for kids! I gave up a full-on career in marketing to be a full-time mum, which was scary, but also liberating and wonderful. While my kids were really small I ran a baby signing franchise, this was perfect at the time as I could take them with me to work. It also gave me a taster of how flexible and rewarding self-employment can be. When the kids were a little older and I sold my franchise, I was determined not to be tempted back into an office job. I knew I wanted to return to something more creative, ideally involving writing and flexible working. I’d been wondering for a while if blogging could be the way to go, and realised there was only one way to find out! I decided that, for me, the best thing to blog about would be what we loved doing as a family - getting outdoors, exploring nature, growing things, discovering new places - so that’s where I started. Pressing that ‘publish’ button for the first time was terrifying! But I loved it from day one. I’ve been blogging now for just over a year and I still feel like a newbie, but I’ve learned so much and it feels like the perfect fit for me and my family. As well as writing about gardening and enjoyment of the outdoors, I now also cover family crafts, days out, food and interiors. It’s been hard work, but hugely rewarding too; I’ve worked with some wonderful companies and we’ve had some fantastic family experiences. My favourite posts to write are the ones where we get really hands-on with the kids, doing things like creating journey sticks on a nature walk or making our own bird feeders. 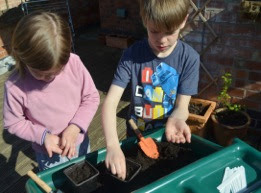 I also like being able to pass on tips that we’ve picked up along the way, such as how to make gardening fun for children - it’s lovely when people comment that they’ve tried out our ideas and really enjoyed themselves. I don’t think I’ll ever feel like a blogging expert, but that’s actually one of the things I like about it; it keeps you on your toes. I suppose in this sense it’s not that different to having kids actually! If you’d like to check out our family adventures pop over to the blog at http://www.growingfamily.co.uk - hope we manage to inspire you! Thank you Catherine for that great introduction, you've inspired me to go and look at some flowers to plant in the garden. Although saying that I'll have to read your blog for some tips! If you'd like to be featured in Blogger Showcase please GET IN TOUCH! 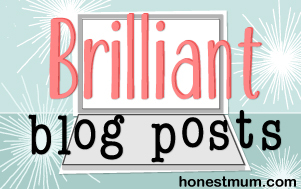 I'd love to hear from you and can't wait to showcase you and your blog.